The story of Hexenklad began with the planting of a seed, an idea: to create a Metal band that was as deep in meaning and feeling as it was heavy and aggressive in sound. 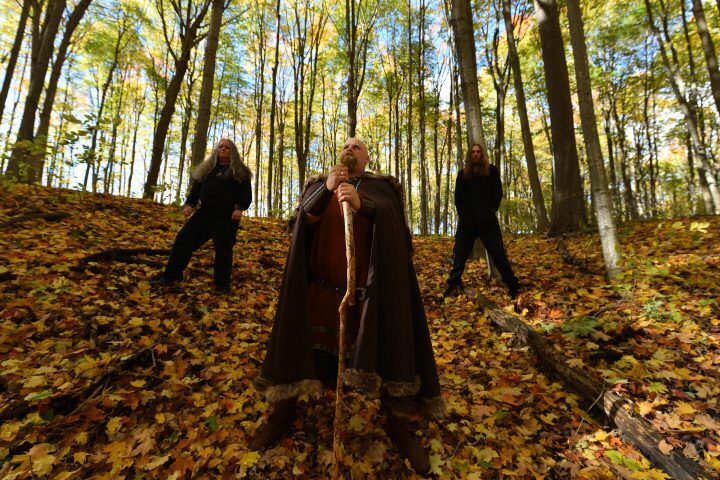 Co-created by guitarist Michael Grund (SIG:AR:TYR, ex-Battlesoul) and drummer Sterling Dale, Hexenklad’s roots sunk down after Grund made the drastic decision to move to the forests of Bancroft, Ontario, Canada, leaving city life and materialism behind. 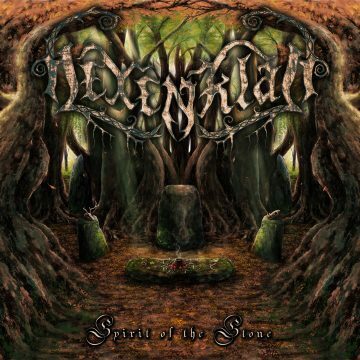 With this mental shift in place, and with the first two Hexenklad songs composed in those very woods, Hexenklad was born; a melodic, Folk and Black Metal inspired band with thematic leanings towards nature, a respect for Magick and ancient religions, and personal enlightenment and freedom. Its branches spread in late 2015 with the addition of guitarist John “The Ancient One” Chalmers (Pagan Ritual), who helped round out the music. In 2016, after having recorded the drums for the new album Spirit of the Stone, Sterling Dale left Hexenklad and Timothy “Voldamares” Johnston (Eclipse Eternal) joined as vocalist, expanding the sound still further. With the vision of the album and band now fully formed, comrades were called upon to complete the recordings. Alex Snape (Unbowed) did a guest appearance to add his signature bass sound, while guest cellist Raphael Weinroth-Browne (The Visit, Musk Ox) added his wizardry to several tracks. Now-permanent member Clare B. (Eclipse Eternal, ex-Operus) deepened the sound with keyboards to put the final touches to the tapestry. Having now completed the debut album Spirit of the Stone, Hexenklad branched out again, growing this time to include new permanent members Jon Kal (Pagan Ritual) on bass and Andrew C. (Pagan Ritual) on drums – once again reuniting father and son (John and Andrew). In February 2017, Hexenklad was pleased and proud to sign with CDN Records and on July 28, 2017 our debut album Spirit of the Stone was released upon the world. Hard copies can be purchased right here or directly from the band at shows. Digital copies can be downloaded from our bandcamp page. We appreciate any and all support. As it stands today, we have 12 songs demoed for our next album. The rivers of creativity are flowing strong and we have vast amounts of material in store for you, but first we must curate and perfect it. We are also currently in the process of booking shows to support the Spirit of the Stone album in the Ontario and Quebec provinces of Canada. And we’re always open to offers… from anywhere. We will not disappoint you.